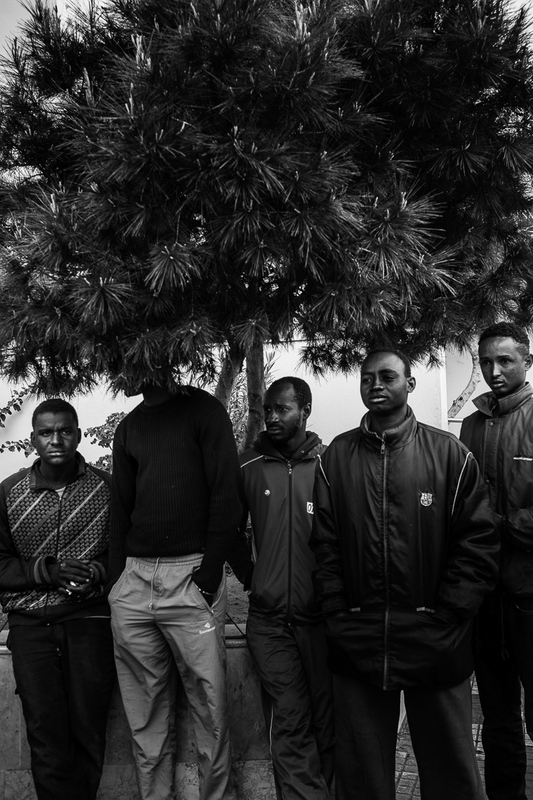 Melilla, Spain March 10 2014. A group of Subsaharian people wait outside the Police station to being registered. They have just cross illegally the border from Morocco to Spain. The Guardia Civil reported that 150 people tried to climb the fence but only 15 succeed.